Hairdresser, photographer and collector; writer, translator and book lover. 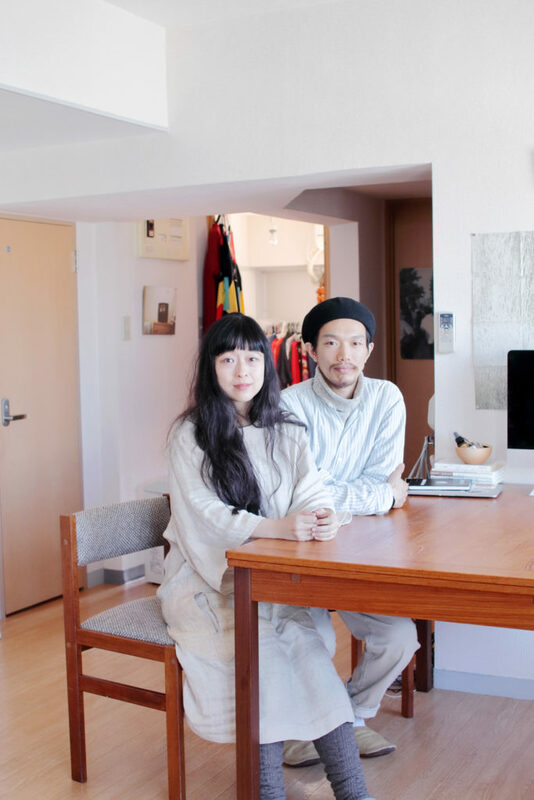 Matsuki Narishige and Yumiko Kikuchi are a couple whose creativity seems to touch each and every facet of their colourful apartment. Works are envisaged, created and documented in the comforts of their living room, while exhibitions take shape alongside the dinner table where text and images jostle for wall space. Several years after being introduced to the couple at a local bookshop, I took the chance to venture into the world that they have created for themselves in a retro high-rise building not far from central Meguro. Scaling the spiral staircase to their upper-floor apartment, I stopped by to hear about the joys of living with countless books, found objects and other paraphernalia. ⎯ Looking at this impressive array of items I can’t help but wonder, have you always been collectors? Matsuki: I’ve never really thought of myself in that way. 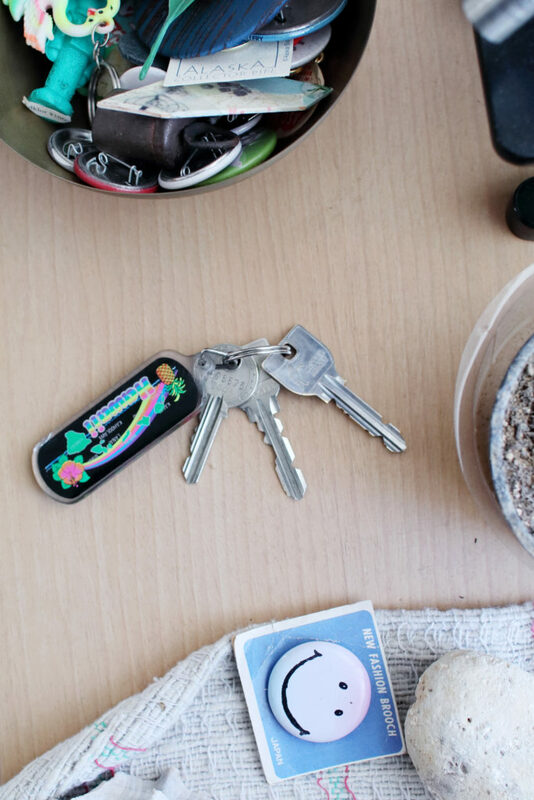 Actually, when we moved into this apartment I wanted to keep things simple, but look how it’s ended up! Yumiko: We don’t really have any collector’s items or special antiques. In fact, we actually bought a lot of the stuff at junk shops. Matsuki: It’s not just things that we’ve bought. For example, if we go to the beach we usually bring home some rocks and shells. I’m always thinking about how things will look when I photograph them. For example, I bought that big dinosaur at a science museum in Nagoya because it looked so cute and photogenic. ⎯ The room itself feels overwhelmingly photogenic. 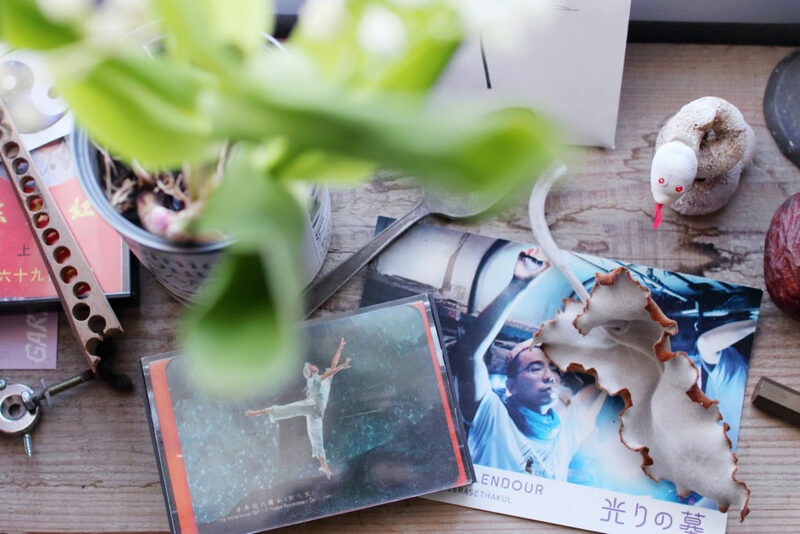 Matsuki: Some things get used in my photo exhibitions and our collaboration shows, which leaves the apartment feeling a bit empty. We bring everything home afterwards, but for some reason it creates a strange atmosphere. There’s a sense of unfamiliarity, as if we’ve brought in something from the outside. Yumiko: It feels as though some gaps have appeared. Matsuki: Everything seems different, even when we put things back in the same place. There’s a sense of beauty in the things that have stayed in this room over time. 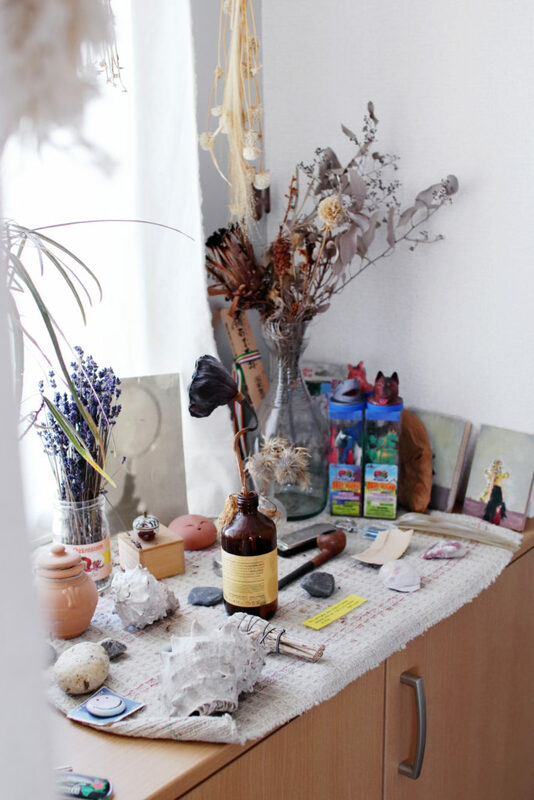 Yumiko: Each and every thing has a place of its own and becomes part of the room over time, but when something is taken away it seems to return with a sense of restlessness. Things have their own mood; some things have thoughts. Rather than capturing our thoughts, they seem to reflect the mood of this room, which makes it feel as though they’re living here with us. 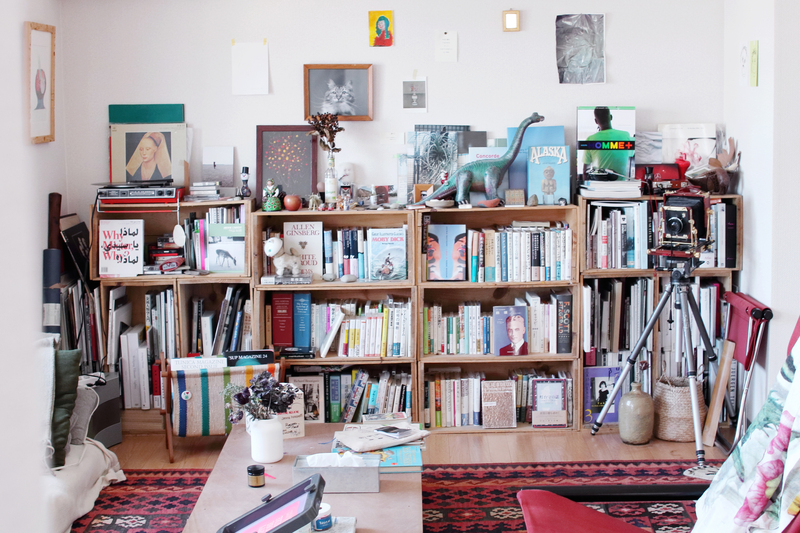 ⎯ Tell me the story behind your vast collection of books. Yumiko: Matsuki collects things; I collect books. Our house is a combination of those two parts. People invest a lot of time in writing books; some people write for up to nine years before their work is complete. Just like objects, I feel that books are filled with thoughts and energy. Printing turns them into mass-produced items, but when you think about it, so much time and thought goes into writing all those words. I think of each book as a person and so this room feels like it’s filled with an almost frightening amount of people. In the same way, whenever I go to a bookshop I feel like I’m surrounded by voices, which I actually find quite comforting. There are books in this room that I’m yet to read, they’re “people of the future”, while there are lots of “people” that I know very well. I can never throw away books, so my collection keeps growing. 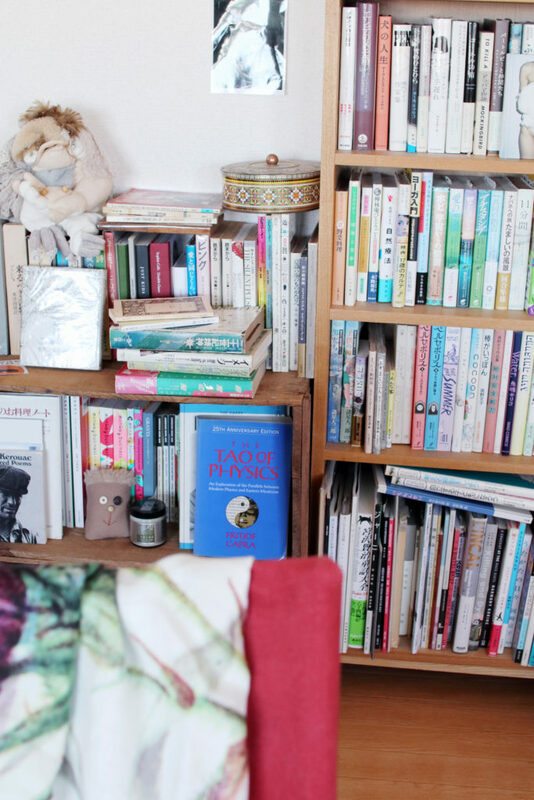 I can’t really imagine a home without books. My father was an editor and so there was a small library in the basement of my childhood home. I have been surrounded by books all my life. ⎯ Matsuki: Having your old books arranged in a visible manner not only gives you a sense of the author’s thoughts, but it also brings back memories of who you were when you read each book. Matsuki: Perhaps we are trying to remember things by immersing ourselves in our own memories. Just like a book, when I look at a rock I can remember where I found it and why it caught my eye. Things like rocks contain both my memories and memories of their own. Connecting those parts is probably what attracts us to them. ⎯ Surrounded by countless things that mean so much to you, has this space become your sanctuary? Yumiko: I probably feel that way more than Matsuki does. Whenever I want to do something, I have access to all the books I need. In fact, no matter what I want to do, home is the best place to do it. Also, having your favourite books close by allows you to pick up words in an unconscious manner. ⎯ Last of all, what’s it like looking out over the city on a daily basis? Yumiko: When I wake up in the morning I always take a seat at the table and gaze out the window. Our building is on a hill, so you can actually see Mt. Fuji. It’s quite amazing to be able to see it from Tokyo. Although it’s far off in the distance, being able to see the mountains has changed my impression of Tokyo. 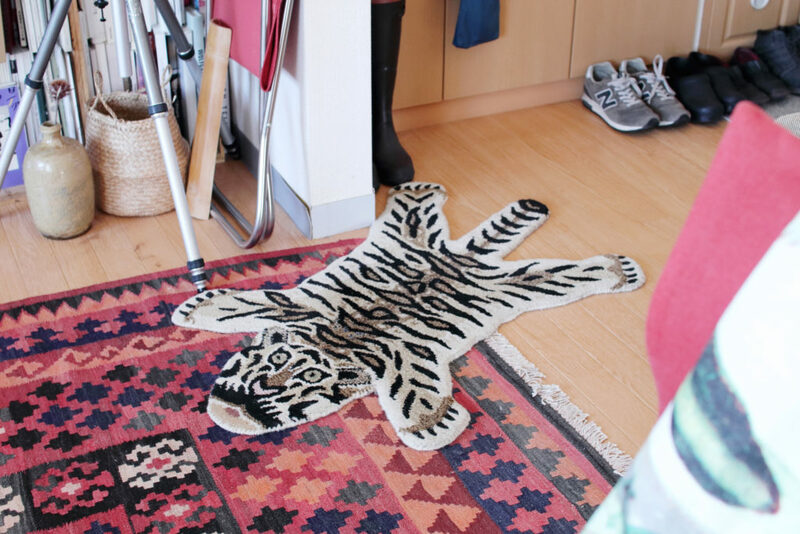 Matsuki: It’s nice to have some kind of motif. Aside from Mt. Fuji, we can also see the large chimney at the nearby waste management site. The chimney turns a beautiful pink colour just before sunrise and so I often wake up, open the curtains and take a few photographs before starting my day. 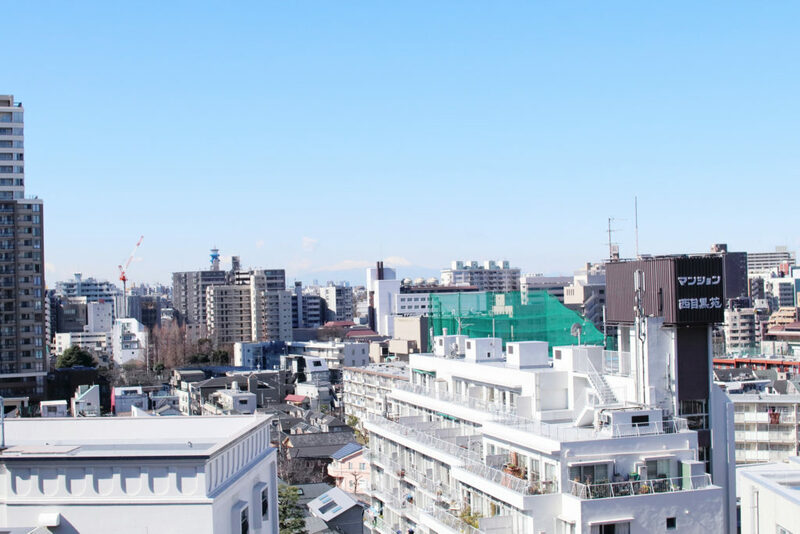 Yumiko: The light and the views from the windows proved to be the main reasons that we chose to move into this apartment.